An Oklahoma medical marijuana initiative is dead, state legislatures are gearing up with more medical marijuana bills, New York gets kosher medical marijuana, and more. Last Monday, a federal judge threw out a monopoly lawsuit against Berkeley dispensaries. Plaintiff Christopher Smith had sued the city and its existing dispensaries, arguing that the city's cap of three dispensaries allowed them to operate as for-profit businesses. But US District Court Judge William Allsup dismissed the lawsuit, saying "this court will not lend aid to Smith's efforts to operate an illegal business." On Wednesday, a medical marijuana cultivation bill was filed. State Rep. Allen Peake (R-Macon) has filed House Bill 722 (not yet available on the legislative website), which would allow the state to issue up to six licenses for medical marijuana growers. The legislature last year passed a bill allowing for the use of high-CBD marijuana, but included no provisions for growing it in the state. On Monday, the state reported nearly $1.7 million in medical marijuana sales in less than two months. Sales began on November 9 and totaled nearly $1.7 million by year's end. The state said 2,815 patients had been served. The state has collected about $107,000 in taxes so far. On Tuesday, a CBD for kids bill was filed. Senate Agriculture Committee Chair Jean Leising (R-Oldenburg) has filed Senate Bill 72, which would grant immunity from prosecution to doctors conducting trials on the medical efficacy of cannabidiol (CBD). The bill has already been approved by an interim committee and is expected to have good prospects of passage. Last Friday, a bill to prevent employers from firing patients was filed. Rep. Jeff Irwin (D-Ann Arbor) and Rep. Sam Singh (D-East Lansing) have filed House Bill 5161 to protect the employment rights of medical marijuana patients. The bill would protect patients with registration cards, but they could still be fired if their marijuana use interferes with their job performance. Last Thursday, online registration for patients began. The state Health Department launched its online registration for patients to obtain non-smokable medical marijuana when it becomes available later this week. Registration information is here. Last Friday, New York got its first kosher medical marijuana operation. Vireo Health, a provider of non-smokable medical marijuana products, has been certified kosher by the Orthodox Union. The Union said it awarded the certificate after inspecting the company's facilities to ensure that the marijuana was being grown and processed according to kosher standards. Vireo said it was the first time a medical marijuana producer had been demanded kosher. Last Monday, the medical marijuana initiative was off to a fast signature gathering start. The North Dakota Committee for Medical Marijuana said that it had gathered between 700 and 800 signatures during its first three weeks of petitioning for its initiative. The group needs 13,452 valid voter signatures by July 11 to appear on the November ballot. It says its goal is to gather at least 15,000 signatures. Last Friday, the medical marijuana initiative petition drive fell short. There will be no vote on a medical marijuana initiative this year. An all-volunteer signature gathering campaign by Green the Vote only managed to obtain 70,266 signatures. They needed 123,000 valid voter signatures to qualify for the ballot. 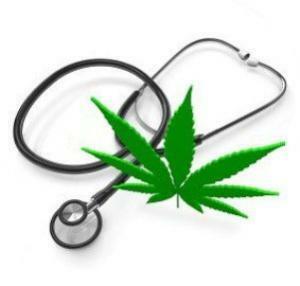 On December 24, a Lane County employee was fired for medical marijuan use. Medical marijuana is legal in Oregon. Heck, marijuana is legal in Oregon. But Lane County has fired a county employee suffering from cancer who uses medical marijuana because he violated the county's drug-free workplace policy. The fired worker, Eugene resident Michael Hirsch, now has the backing of the county's largest labor union. AFSCME Local 2831 said it plans to file a grievance and fight to get Hirsch's job back. "It's outrageous to me that the county did this," said union rep Jim Steiner. "We have fought the county's termination decisions before and won, but among the terminations, this one just doesn't make sense."